With its iconic black and yellow Aqua Lung logo, the new Doxa SUB 300 Searambler “Silver Lung” is a hint at the history, the manufacturer shares with Jacques Cousteau as well as at the beginnings of scuba diving. 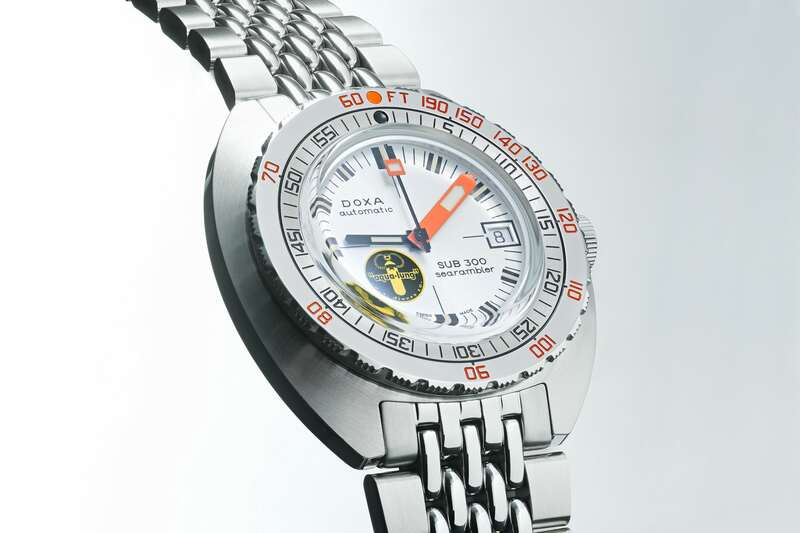 The Doxa SUB was one of the first completely appropriated diver’s watches. First, the model was reissued as an anniversary edition, after that, Doxa introduced the very popular “Black Lung”, and now there’s the “Silver Lung” edition. 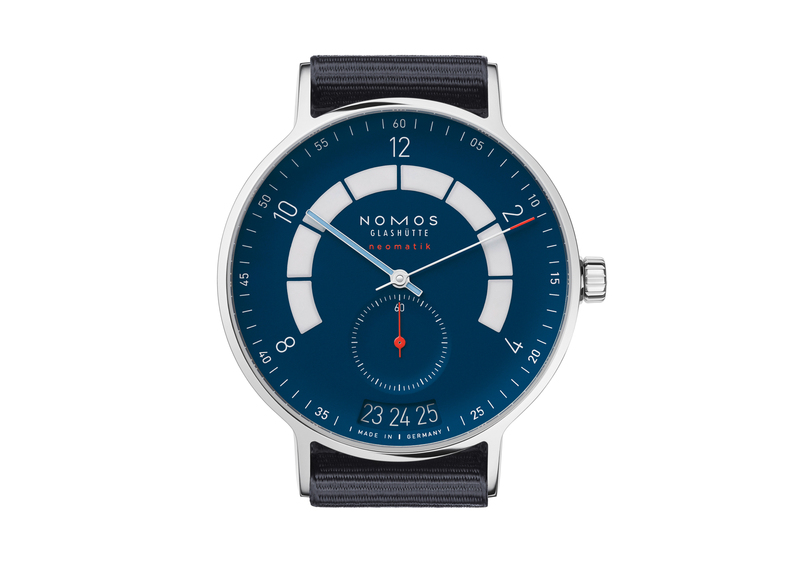 The latest model is also the result of a collaboration with Aqua Lung, a french manufacturer specialised in diver’s equipment and co-founded by diver legend Jacques Cousteau. 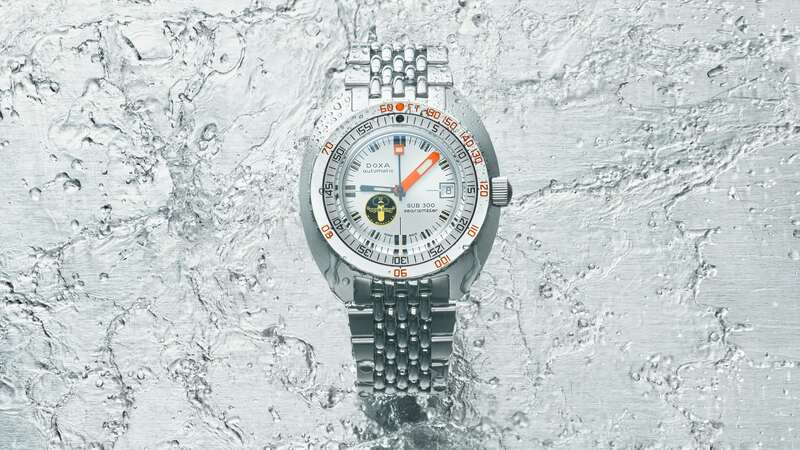 The SUB 300 Searambler “Silver Lung” wears, like mentioned before, the conspicuous “US Divers” Aqua Lung logo at 8 o’clock against the backdrop of its silver sunray dial. The design is based on an old prototype which was never produced. 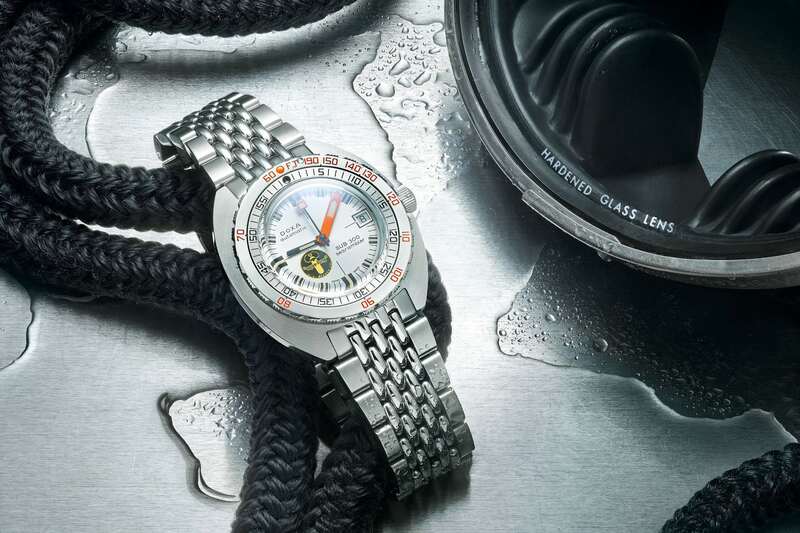 Water-resistant up to 300 metres and with a diameter of 42 mm and only 12,4 mm in height, the Doxa SUB Searambler “Silver Lung” sits comfortably on the wrist. Since the dial is relatively small in contrast to the cushion case, the watch appears even smaller. The bezel is sober and doesn’t appear bulky. 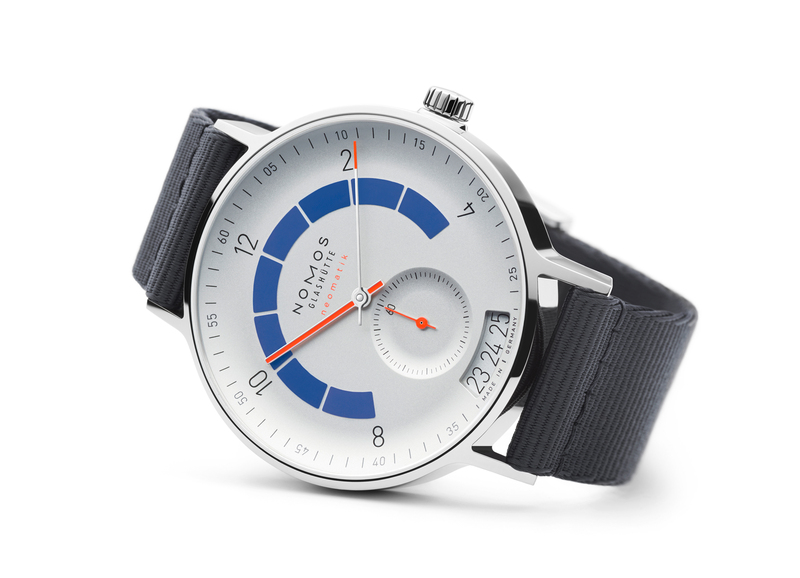 The dial comes with loads of vintage charm, not least because of the well-placed orange accents. To achieve an excellent visibility even in precarious light, Doxa used lume on all hands and indices. 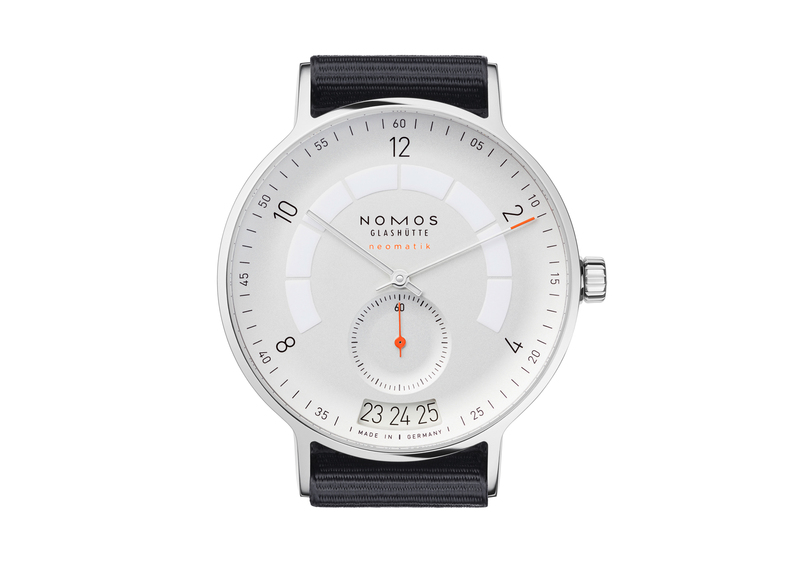 The dial is protected by a curved crystal sapphire. The Doxa SUB 300 Searambler “Silver Lung” is powered by the simple but very reliable ETA 2824. The watch comes with a beautiful polished stainless steel bracelet. It comes with an extension so the watch can easily slip over the sleeve of a diving suit. The Doxa SUB 300 Searambler “Silver Lung” can be purchased at boutiques, but when ordered at doxawatches.com, there’s a 400€ pre-order discount – 2.190€ instead of 2.590. 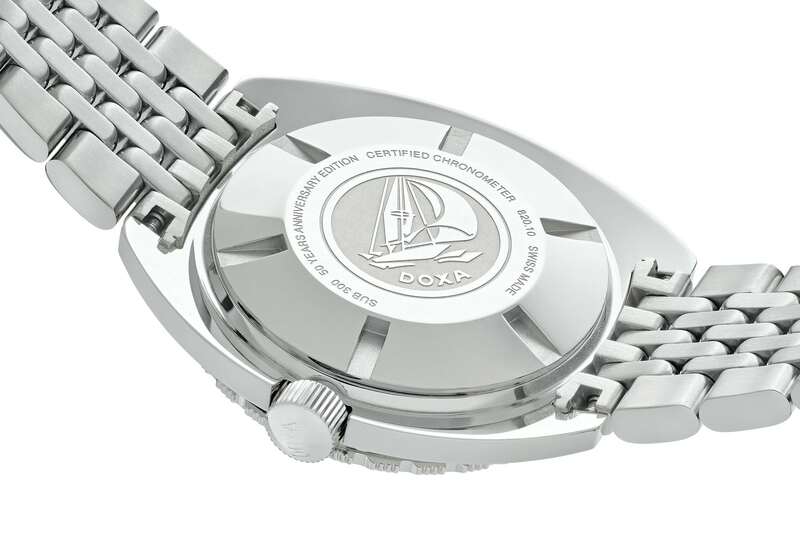 The Doxa SUB 300 Searambler “Silver Lung” is a limited edition of only 300 pieces.